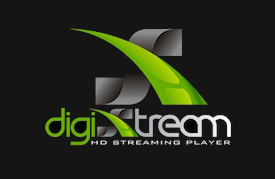 DigiXstream Shop is the ONLY place you can get our Special Setup w/ 1 Year FREE Tech Support. All other DigiXstream Android TV Boxes purchased from any 3rd party (Amazon, Ebay. etc…) are void of our renowned tech support service and likely do NOT come with any support at all, regardless of what they tell you. Or their support may take weeks to return calls only to provide very little help. If you have purchased your DigiXstream box from a 3rd party and now need tech support, you will need to purchase tech support through our DigiXstream Shop. You can often get right through to your support expert when you call and if you do leave a message on our support line during business hours you will receive a call back within the hour in most cases; usually within mins. Whether you choose the 1 hour or the 1 year, you will receive up to an hour on your first call and we guarantee to help you resolve any issue you may encounter. An SD card may be required to fix in some issues. Each support order is assigned to 1 person and can not be gifted to another person after main point of contact person has been established through first support phone call. I purchased my DigiXStream from our state fair and it came with free lifetime tech support. Not sure where to get the help I need. I have had this little device for two days now and am unable to watch my football. I can not figure out how, what or anything. I have tried looking things up online and watching videos and still I am unable to watch American football. The entire reason I bought this is for my sports. HELP!!!! This is the most frustrating thing I have encountered. I keep getting things like error 404 and script failed. April, we can help you but if those guys at the state fair promised you that we would provide you with a lifetime of tech support, I can assure you that you were lied to. We don’t offer ‘anyone’ lifetime support. If you were to order one of our fully setup DigiXstream Android TV boxes it would arrive ready to plug and play, and it comes w/ a 1Yr full warranty + tech support for a yr. I bought mine at the BIG E in West Springfield Mass and started setting it up yesterday and is the most frustraing thing i have come across. They told me and were telling everyone free tech support and updates for life. They also had a big sign saying free lifetime tech support and updates. Also the fair has ended and mine did not come preloaded with anything. My mom’s and mine look completely different. How do i get this resolved? Raul, this is not how you contact our support service. 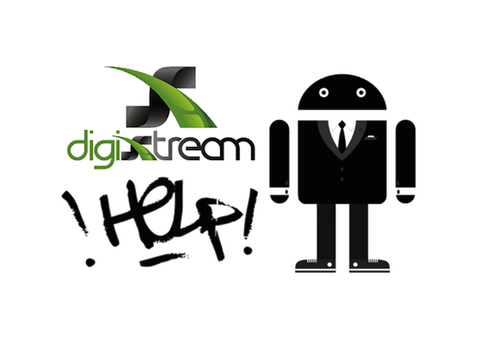 If you are a direct client of our DigiXstream Shop you were provided with an email and phone number to use for tech support. You can contact us for support between the hours of 9am to 5pm Mon – Fri & 10am to 5pm Sat. MST. Are you going to release the update to lollipop or do we have to pay for it? Jeff, It sounds like you didn’t purchase your unit from our DigiXstream Shop Fully Setup w/ 1 Yr Warranty & Tech Support Included. Therefore you’ll need to order support ala-carte. Once you chose a DigiXstream Shop support plan, you can then enjoy the benefits of our tech support service and other perks we offer. You can order online or over the phone. Okay, I have a question. I just purchase a DX5 plus streaming media system that I paid $329.00 for via PayPal and for some reason the website won’t come back up. Did I just get got and for the merchant it says support@digixstream.com. I have a transaction number but that’s it. Can seem to find a number to see where my product is. Yes Alma, DigiXstream shut down before this new year. To be more accurate they abandoned the Wizard Setups for a full year before they even closed their doors. That’s why the Wizard Setups have been so terrible and filled with broken add-ons. We separated ourselves from DigiXstream over a year ago after they stopped taking our management and developmental lead. We understand your frustration, but it not a new update that mess anything up. DigiXstream, the manufacturer, went out of business before this new year and they left the server a mess. Today when I turned on my DX4 digistream box there was nothing in TV app sore , I don’t have only wizard’ on my box . How can I download or reinstall it? OTA update does not work too. I did reset factory for 3 times but nothing happened.